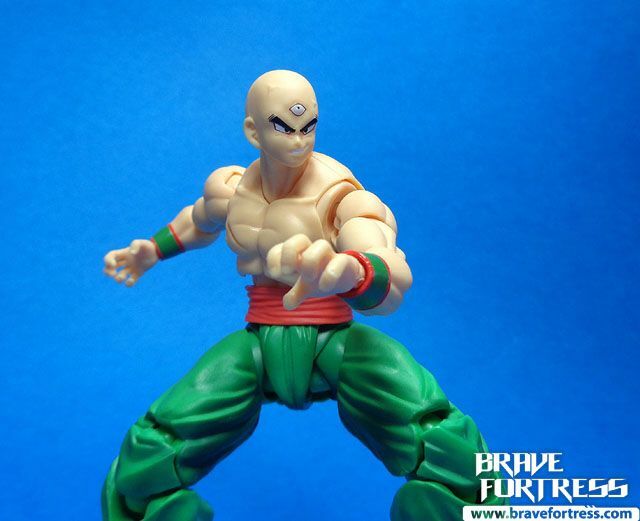 Tenshinhan aka Tien Shinhan, is a descendant of the Three-Eyed clan, hence his third eye. 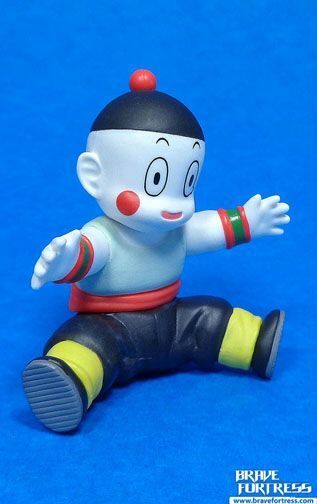 He first appears in the Dragon Ball anime as an antagonist to Yamcha and Goku, he later goes on a quest of self-redemption and becomes one of Goku’s allies. 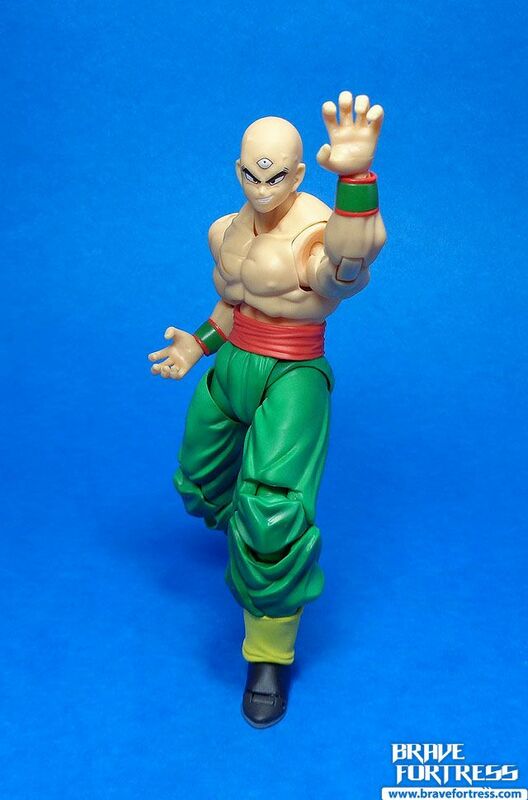 Tien was originally voiced by Hirotaka Suzuoki (Noa Bright on the Gundam series, Banjo Haran for Daitarn 3) for most of the series until the voice actor’s passing. 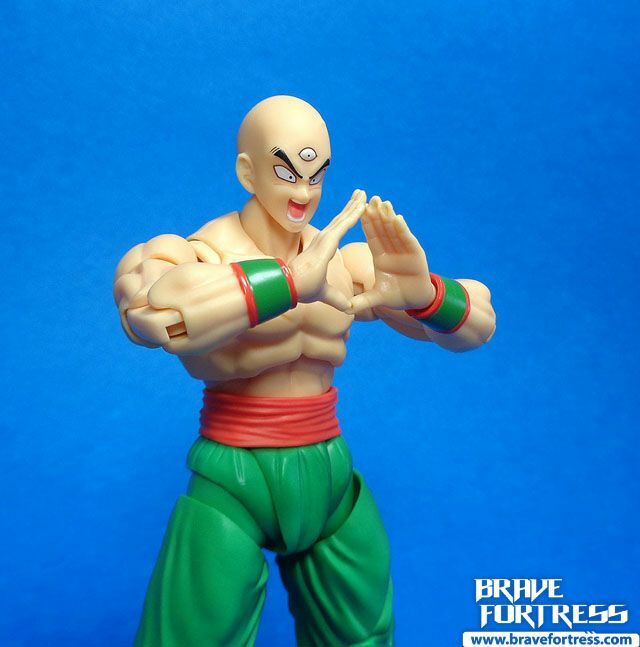 He was later voiced by Hikaru Midorikawa (Heero Yuy of the Wing Gundam series). 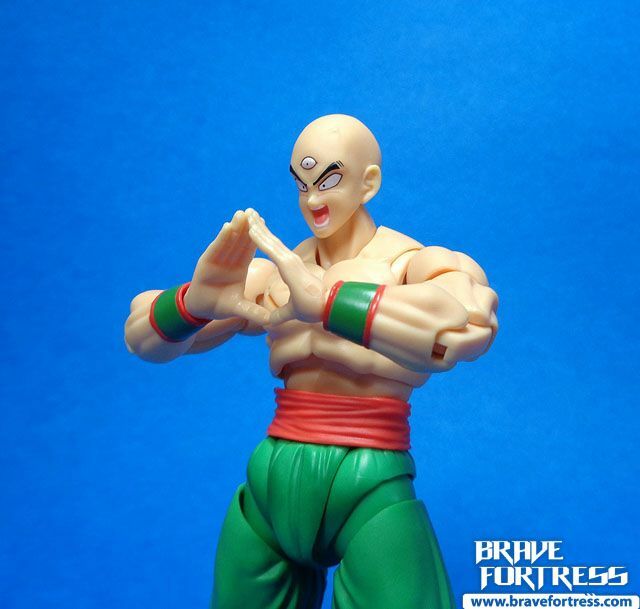 The Crane school’s ultimate attack, the Dodon Ray! 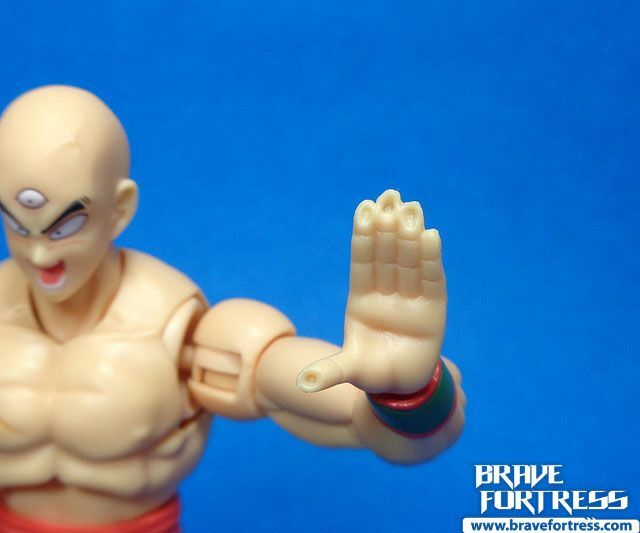 The left hand has notches for the right fingertips to lock on to. 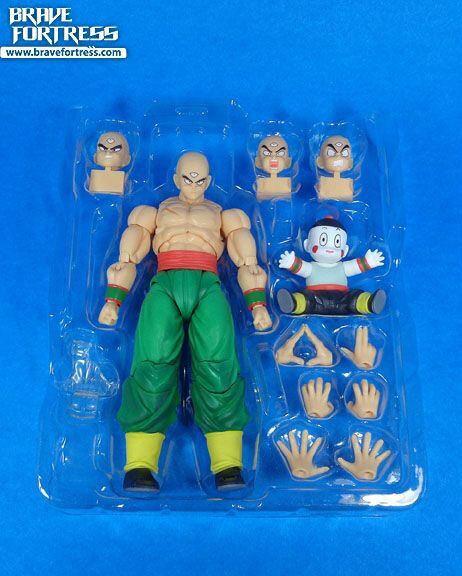 I’m not really sure what’s up with this pose from the back of the box, I think it’s supposed to recreate the pose from when Tien got his arm cut off by Nappa in the Saiyan invasion story arc? 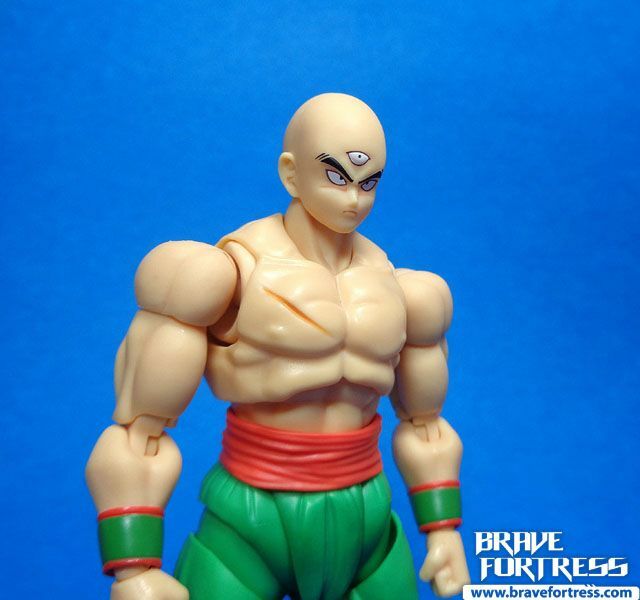 But it’s on the wrong arm. 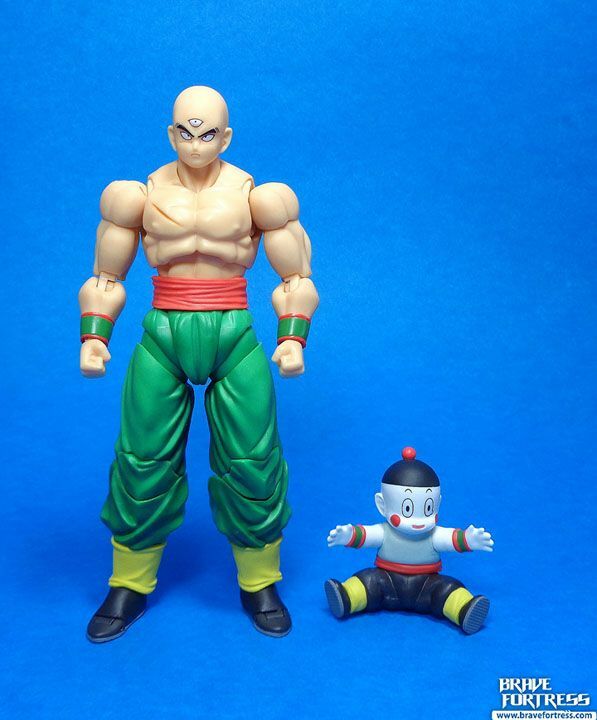 Chaozu, Tien’s ever faithful companion. 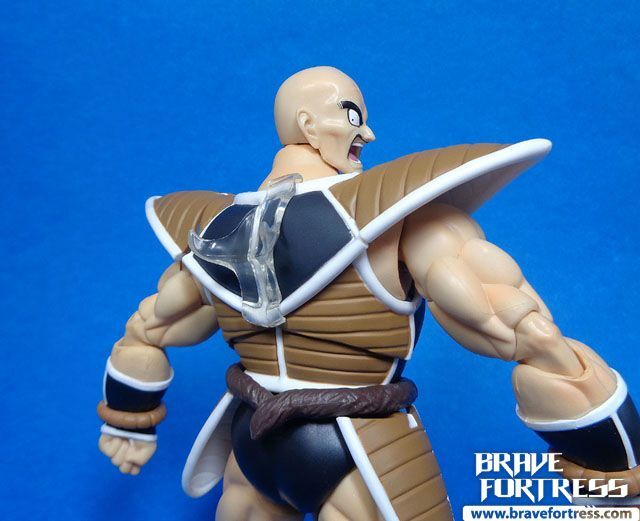 He doesn’t sport any articulation, the only joint that he has is just in his neck. 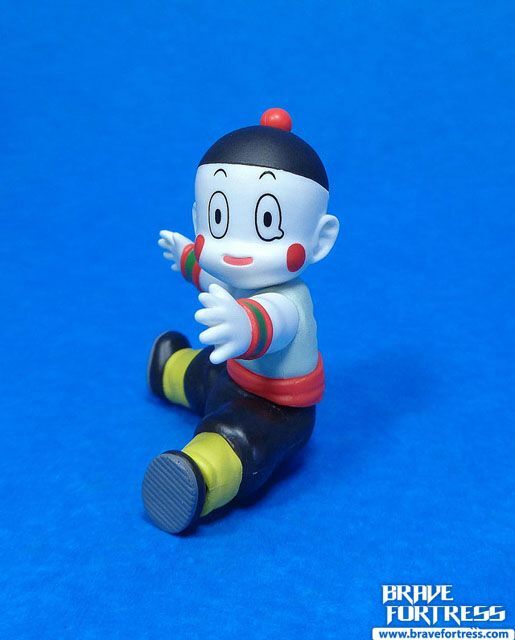 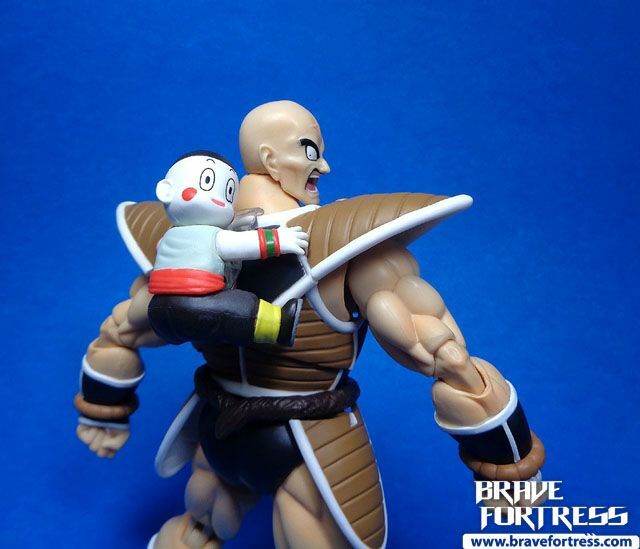 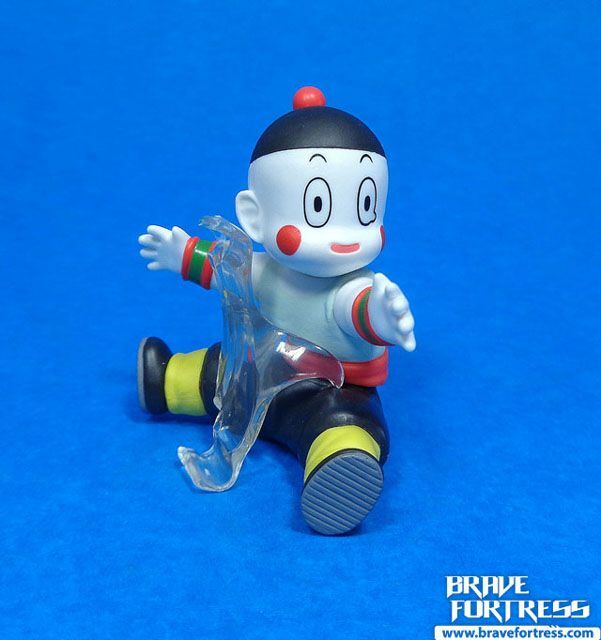 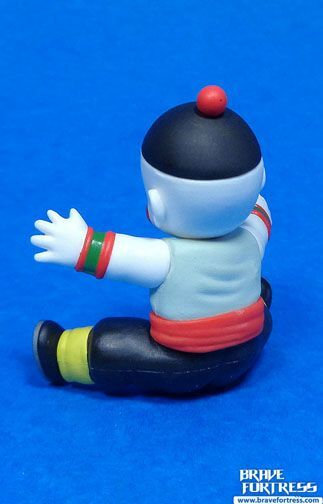 Chaozu comes with an attachment piece, to allow him to clasp onto Nappa. 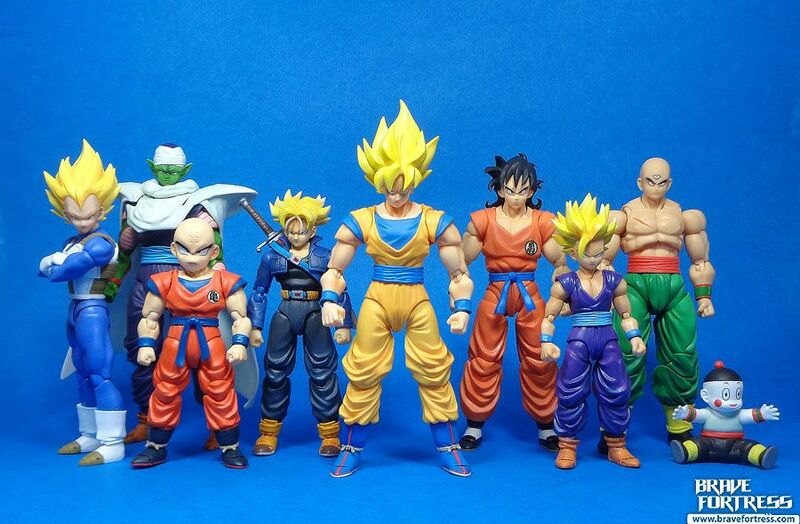 The Z Fighters / Z Warriors are complete… sorta.. We need a non-super Saiyan kid Gohan and a standing Chaozu to make the whole thing work…. 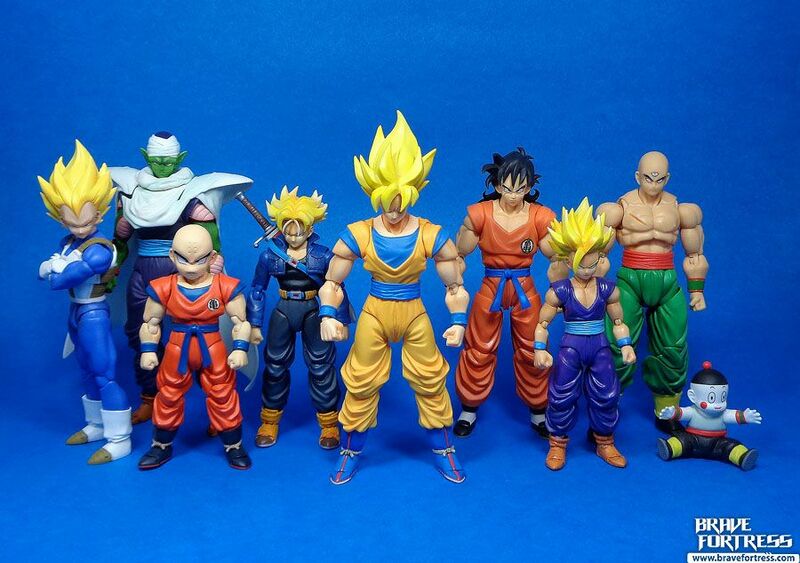 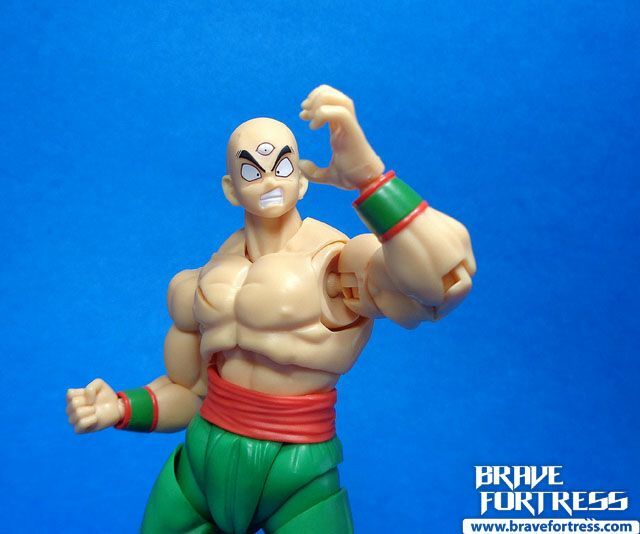 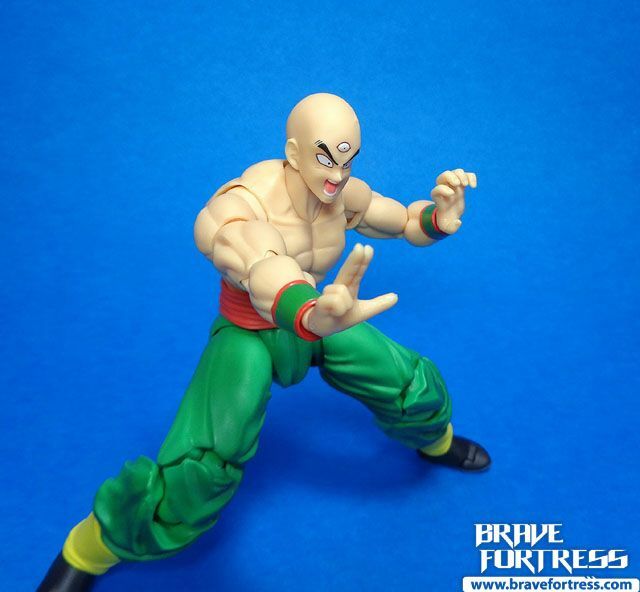 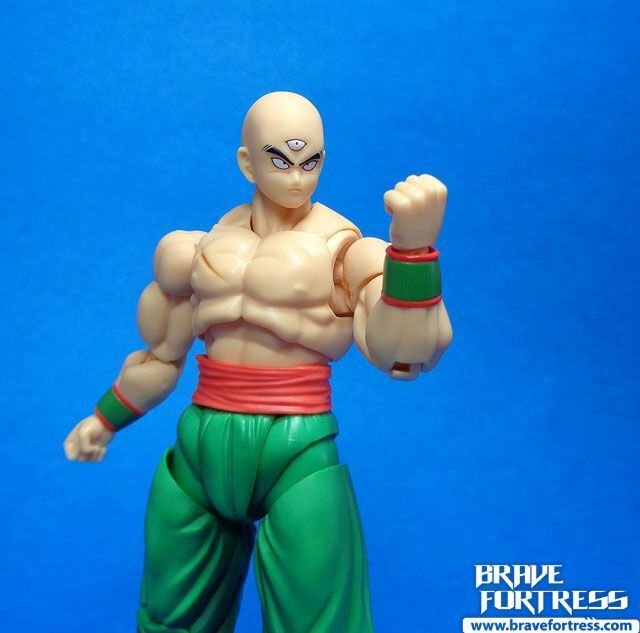 Similar to Yamcha, when Tien was unveiled at toy show, he was wearing his outfit from the Cell Saga (green sash on his torso) perhaps they will later roll out that version as a mass retail along with a proper Chaozu? 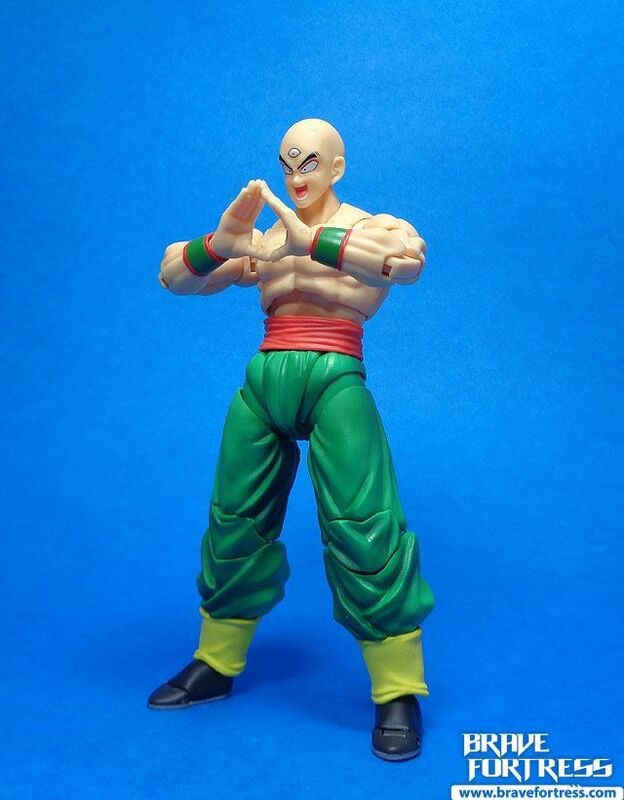 One can only hope…..